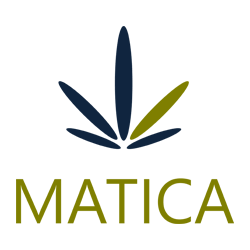 April 25, 2018 – Toronto, Ontario – Matica Enterprises Inc. (MMJ – CSE) (39N – Frankfurt) (MQPXF – OTC) (“Matica” or the “Company”) is very pleased to announce that the Company plans to commence construction of greenhouses on a 181 acre leased property in Hemmingford, Quebec. The Company will begin construction of Phase 1 within coming months, with a long-term goal of building 1,000,000 square feet of combined greenhouses on the property. Matica management have met with representatives of the Township of Hemmingford, who have expressed support of Matica’s plans. Matica intends to commence construction on the property with a Phase 1 greenhouse of approximately 200,000 square feet on five acres of the property. Phase 1 is currently in the designing and engineering stage. Management is weighing various design options and has yet to determine the estimated cost of the phase 1 construction. It is Matica’s intention to build up to 1,000,000 square feet of combined greenhouses in additional phases. The property has ample water via creeks, ponds, and a well, as well as abundant power supply through 600 amp power lines that traverse the property which will support large greenhouse operations. Matica has chosen to build greenhouses on the South Shore, due south of Montreal. This area of Quebec is known as “Les Jardins du Quebec” (Quebec’s gardens). This region receives a large amount of sunlight and is reported by Agriculture and Agri-Food Canada to receive over 1,800 effective growing degree days. The unique microclimate and access to fresh water makes this an excellent agricultural region within an hour’s drive of Montreal. This is an ideal location to establish large sections of greenhouses for growing cannabis.